Listed below are groups which represent general practitioners across Australia. 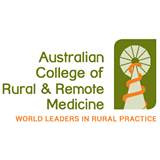 For the other (non-general practice) Australian colleges click here. The The Australian General Practitioners Association (AGPA) is an independent organisation which was founded in 2016 with the aim of representing GP practice owners to ensure the viability of their practices, recognising that the Australian model of GP owned private general practice has been responsible for our international reputation as an efficient and highly effective primary health care service. AGPA aims to work alongside the AMA and RACGP as an independent voice to represent GPs who believe that ownership of practices by GPs best aligns business objectives with patient outcomes, the aim being to shape practices to provide sustainable, safe and accessible care. While needing to operate with business principles, the overarching objective is to provide excellent health care to patients over the long term. 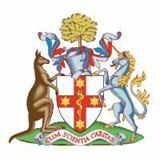 The Australian Association of General Practice ( AAGP) is an independent organisation which was founded and led by GPs with the aim of representing all Australian GPs. It is currently in the process of re-inventing itself. Current Board Members of AAGP are Dr Rod Pearce (Adelaide), Dr Nick Demediuk (Melbourne), Dr Graeme Downe (Melbourne), Dr Jayne Ingham(Brisbane) and Mr David Singe (CEO).